Well if Brightest Day was in another corridor of the Warner Bros. mansion, a little porker would currently be saying "Th-th-th-that's all folks!" Last week's issue, 24 brought the massive bi-weekly monster screaming to it's environmentally friendly conclusion. 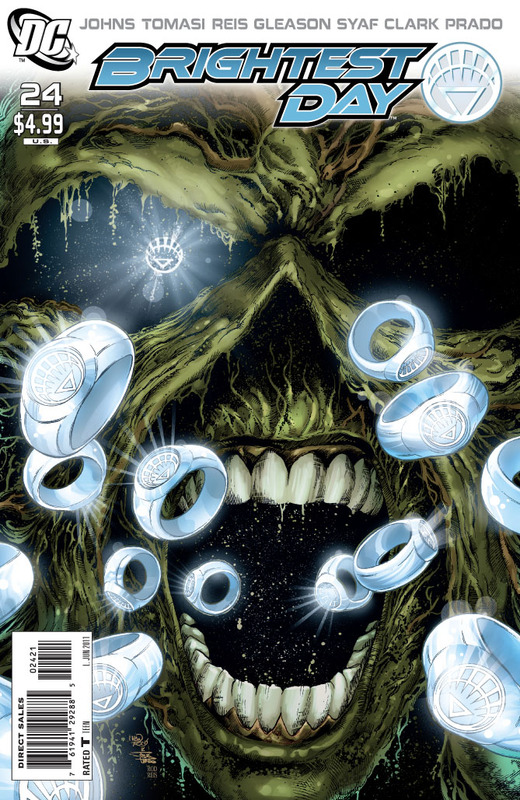 Find out how every ending seeds new beginnings by grabbing your copy of Brightest Day #24 today! i had to read this issue a couple of times to really get what was going on but once i did i thought it was pretty good. 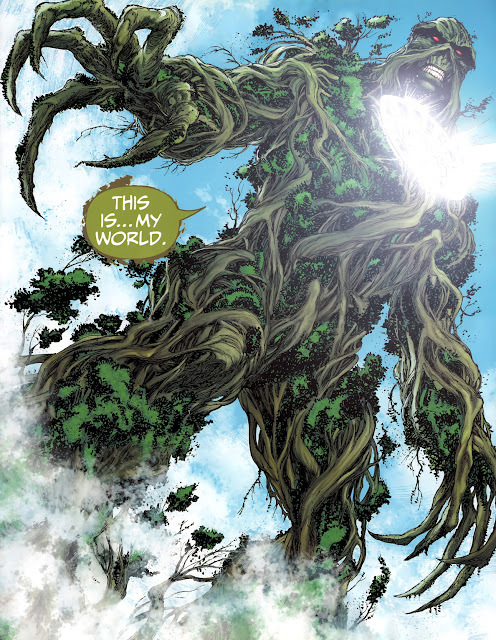 i don't want to give to much of it away but they brought Swamp Thing back in a most interesting albeit a complicated. by the way i hope no such thing like that Blackest Day day scenario ever plays out in real life. cause that would mean we'd be seeing bin laden again. god how i would have loved to have been the guy who put that terrorist s.o.b down! I'm just glad Swampy didn't say 'By your powers combined I am Captain Planet! '.